Qatar managed security service market is at its nascent stage. The market started gaining momentum from 2016 onwards. Qatar FIFA world cup 2022 as well as rising cyber-attack incidents from past few years are some of the major drivers for the adoption of managed security services in Qatar. With 2/5th of the population residing around Doha, the region accounted for the highest revenue share in the past 2 years due to the presence of various offices, government institutions, universities and hotels. This trend is likely to continue during the forecast period as well owing to the completion of various construction projects over the coming years such as- Doha port stadium, Qatar university stadium, sports city stadium, Hamad medical city, Doha metro and Hamad medical city. The Qatar managed security services market report thoroughly covers market by service types, sectors, and regions. 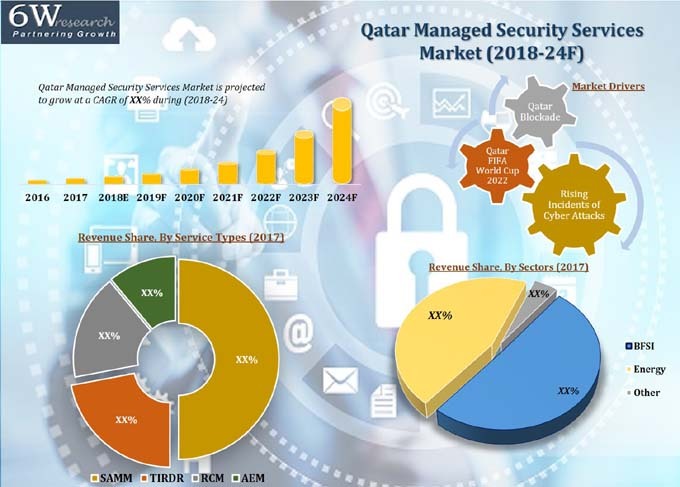 Qatar managed security services market outlook report provides an unbiased and detailed analysis of the on-going Qatar Managed Security Services market trends, opportunities/high growth areas and market drivers which would help the stakeholders to devise and align their market strategies according to the current and future market dynamics.